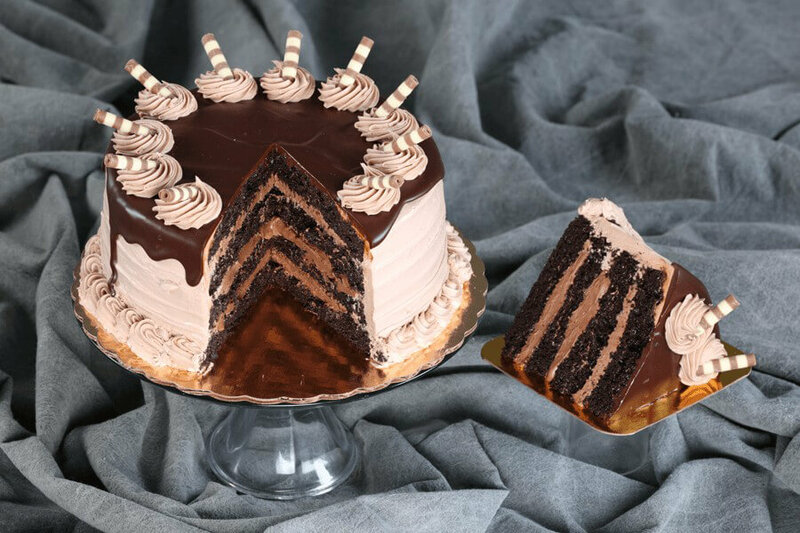 (8″ serves app 12) Four Layers of dark UltramoistTM chocolate cake filled to the brim with 3 layers of chocolate holland creme finished off with chocolate whipped and then covered in chocolate ganache. (8" serves app 12) Two layers of UltramoistTM strawberry cake baked with swirls of vanilla cream cheese filling; frosted in vanilla whip; decorated with red and white chocolate sprinkles. (8" serves app 12) Four Layers of UltramoistTM chocolate cake filled with chocolate Bavarian creme. Frosted in chocolate whip, decorated with chocolate sprinkles.